Many San Luis Obispo homeowners are looking for ways to make their lawn care and landscaping more convenient. Irrigation systems are a great way to make your lawn maintenance less laborious and time-consuming. If installing an irrigation system isn’t appealing to you initially, consider the following benefits of sprinkler systems. Increase Convenience – Irrigation systems give homeowners the freedom to perform other landscaping tasks while their lawns are being watered. Instead of worrying about making the time to tend to your grass, consider installing a sprinkler system that you can set to operate during optimal times of the day. Add to Your Property Value – Consider an irrigation system as an investment that increases the value of your home. San Luis Obispo homeowners who purchase sprinkler systems can experience up to a 15% increase in property value as a result of the immaculate appearance of their lawns. Water While Absent – If you value lawn care and landscaping, going away for work or vacation can be stressful. If you don’t have a house sitter that you can trust, your lawn may be neglected while you’re away. However, if you own an irrigation system, you can set it to water your lawn while you’re gone, and you’ll come back to well-watered, green grass. Decrease Your Water Bill – If you’re left to your own devices with a water hose while landscaping, you may use an exorbitant amount of water, an action which affects both the environment and your wallet negatively. Irrigation systems are installed in particular locations so that no water is wasted. If you value the flexibility of hoses and portable sprinklers, just remember that you get to choose exactly where your sprinkler system is installed. 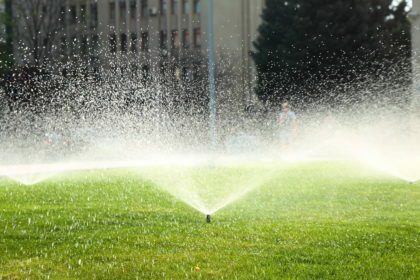 If you’re intrigued by the thought of owning an irrigation system, reach out to a reputable San Luis Obispo lawn care and landscaping company like Dan’s Landscaping Company, and discuss your irrigation options. 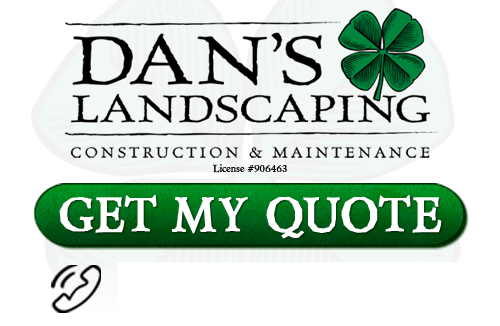 If you are looking for a professional San Luis Obispo Irrigation System Installation then contact Dan’s Landscaping Company at 805-550-5488 or complete our online request form.